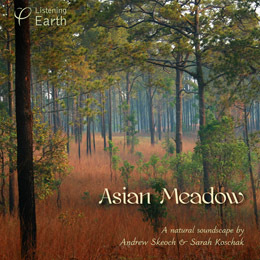 An exotic diversity of birdsong fills an open pine meadow in Northern Thailand. Beginning very quietly in the pre-dawn, you will hear the last nightjars and owls calling distantly. Gradually the dawn chorus begins, washing over the landscape like an approaching wave. Francolins, cuckoo-shrikes, minivets, barbets, woodpeckers, bulbulls, prinias and many more may be heard calling near and far. 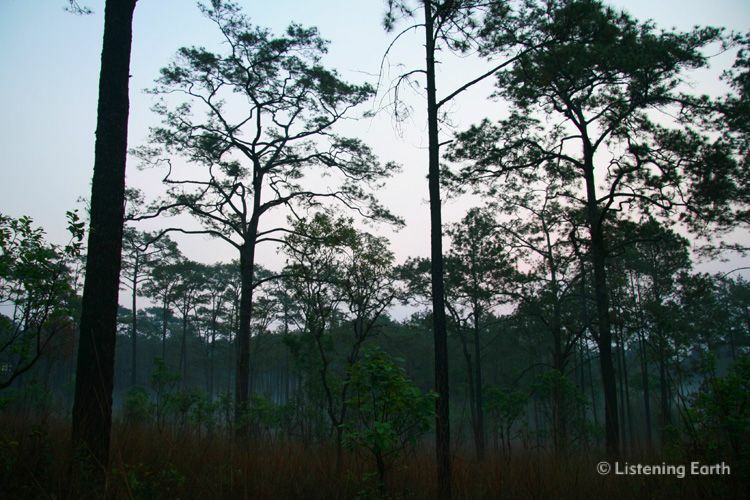 A breeze whispers in the pines, and to conclude, you'll hear the animated chattering of Chestnut-headed Bee-eaters as they swoop for insects in the golden light of late afternoon. 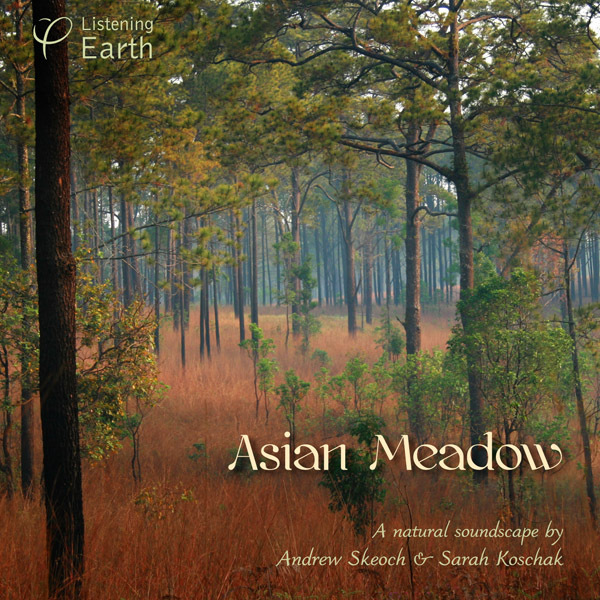 This is a dynamic recording that will transport you to a unique habitat rich in birdlife.